High Voltage Laboratory | Research & Development | NGK INSULATORS, LTD.
NGK High Voltage Laboratory is equipped with world-class testing facilities such as AC 1500kV high voltage test facilities, 4200kV lightning impulse generator and AC1000kV/DC750kV contamination test facilities. 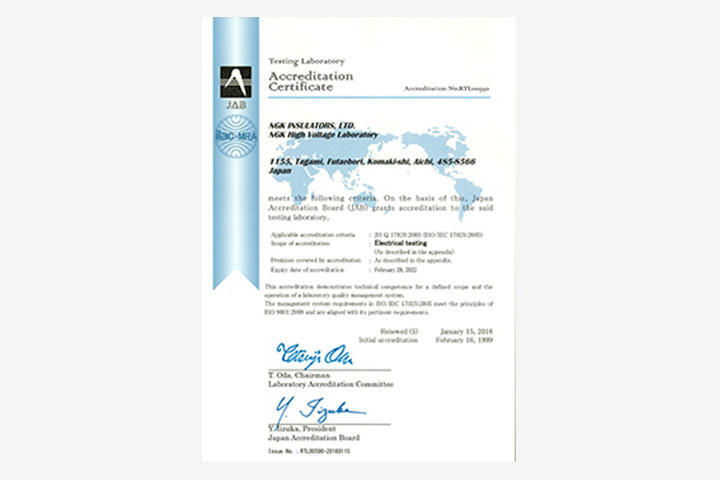 Electrical and mechanical testing in actual scale have been carried out in this laboratory. These activities include researches and developments for AC 1000kV/DC 800kV class insulator string assembly and 1100kV gas bushings. The insulator design suitable for contaminated environment has been also studied in this laboratory. We are proud of our contribution to power industry in the world by supplying these high-quality insulators yielded through our research and developments activities. 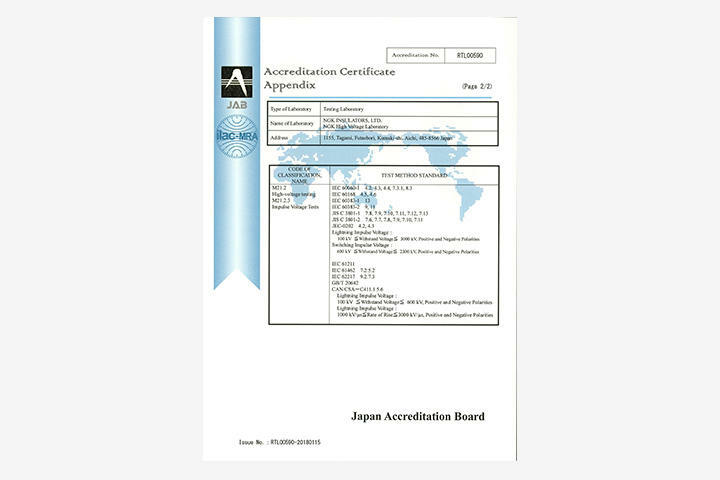 These achievements are widely presented in the international conferences at home and abroad such as IEEE and CIGRE, and are partly published as "NGK Review." 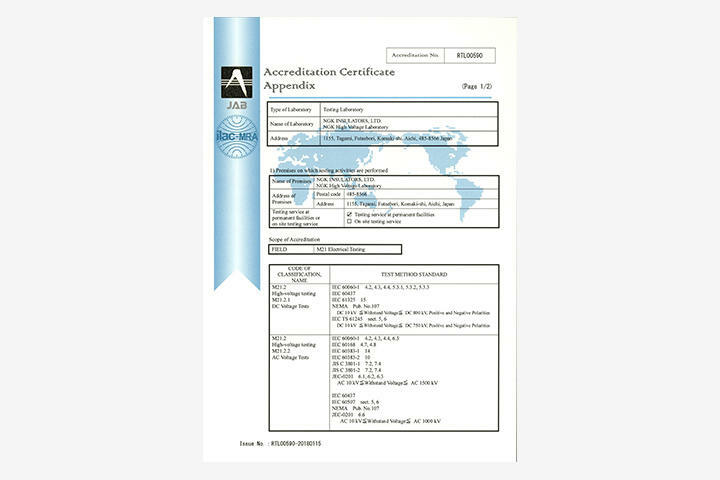 NGK High Voltage Laboratory is approved and authorized in accordance with ISO/IEC 17025. We also are entrusted with the tests for insulators and electrical apparatuses requested by utilities and other organizations. NGK High Voltage Laboratory was the first accredited high voltage testing laboratory in Japan in accordance with the criteria of ISO/IEC 17025 (General requirements for the competence of testing and calibration laboratories) by The Japan Accreditation Board for Conformity Assessment (JAB) in February 1999. Feel free to contact us for undertaking tests of insulator string assembly for transmission line/substation, and high voltage equipment.